Planning Commission meeting, December 6th, 5:30 pm in City Hall. All residents are encouraged to attend. At the December 6th Planning Commission meeting, the commissioners will be asked to review and provide input on the “Veterans Cemetery Timeline and Legal Analysis” for the potential Veterans Cemetery at the ARDA or the golf course site. What, another Option suddenly appears? The Board of Supervisors just approved an offer of a 2,500 acre parcel in Anaheim Hills for the Veteran’s Cemetery. Nice try, but the offer is not an acceptable option. By voting against swapping the ARDA Cemetery site for the Strawberry Fields location, the voters chose the ARDA site. The will of the voters must be upheld. Do not waste more time and money on more studies. In spite of the fact that the voters chose the ARDA site, the Planning staff was asked to present a report comparing the ARDA and the Golf Course sites for the Veteran’s Cemetery. Your staff report states that neither the ARDA site nor the Golf Course site would have a significant impact on traffic circulation and no city contract forbids development of the Veterans Cemetery on either site. The ARDA site has more structures than the Golf Course site and the structures do contain asbestos and thus hazardous waste, but the waste can be easily carried away. The ARDA site has no soil contamination. There is a small capped landfill that covers approximately one acre. The U.S. Navy has the responsibility for cleaning up soil contamination so, if previously undetected contamination is discovered, the U.S. Navy would be responsible for the removal of the contaminated soil. Question: The Portola High School property has known soil contamination, but the city built the high school on the site anyway. So why is it ok to put students and teachers on contaminated property, but not ok to bury deceased veterans on contaminated property? Question: Do deceased veterans need more protection from contamination than human occupants of residential or commercial properties? The alternative plan for the ARDA site is a large Five Points development project. The ARDA site would have to be cleaned up anyway, maybe even to a greater extent as deceased veterans do not need as much protection from contamination as human occupants of residential or commercial properties. The estimated project completion dates for the ARDA and Golf Course sites are approximately the same, within a few months of each other. Question: how relevant is the project completion date? The projected build out for the cemetery is 100 years from now. The cemetery will be developed in stages. There is plenty of time to remove the structures and the landfill. Question: How bothered will the neighbors be by the appearance of the cemetery? The grave stones for the cemetery will be lying flat on the ground and the cemetery will be surrounded by trees and luscious landscaping. Thus, for the neighbors, the cemetery will have a park like appearance. Feng Shui is not considered a great priority. There are plenty of potential buyers. The City lost a 30 million dollar grant from the State when it tried to trade the ARDA site for strawberry fields freeway site, but the grant could be reinstated. There is also a 10 million dollar Federal grant that can be applied for. The Great Park Account 180 has sufficient funding to complete the first phase of the Veterans Cemetery. When choosing Great Park amenity projects, the Great Park Board, which is also our City Council, should give priority to the will of the voters, not to the will of the developers and priorities should not be based solely upon the amount of income projects will provide to the city. 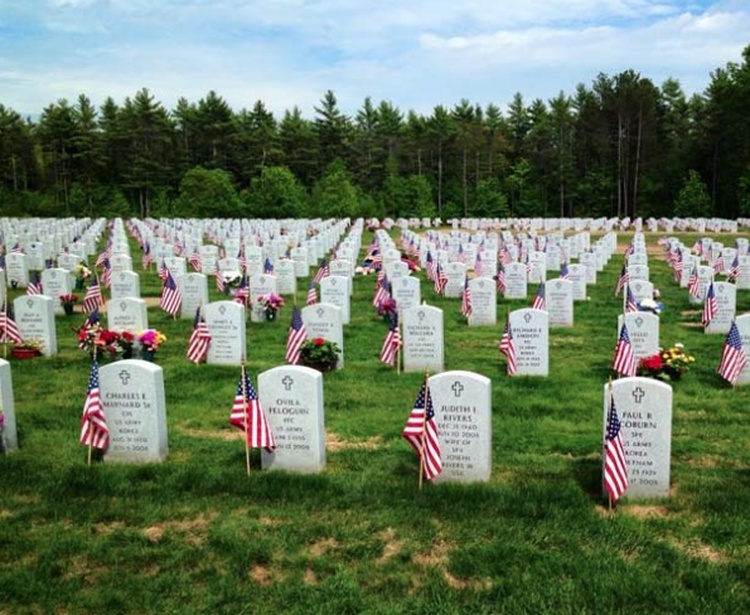 Question: Who should control the Veterans’ Cemetery? I believe that the Cal Veterans Organization should control the cemetery. The Veteran’s Cemetery would be a State cemetery, owned and operated by the State. The City should have nothing to do with the Cemetery once the City dedicates it to the State. Thank you. Read our other articles and meeting summaries regarding the Veterans Cemetery here.